My uncle and godfather, Adrien Laneville, passed away yesterday in hospital. He was 95 years old. Uncle Adrien, who had been in poor health recently, died peacefully at 7:00 a.m. on Sunday, February 19th. His eldest child André was with him. 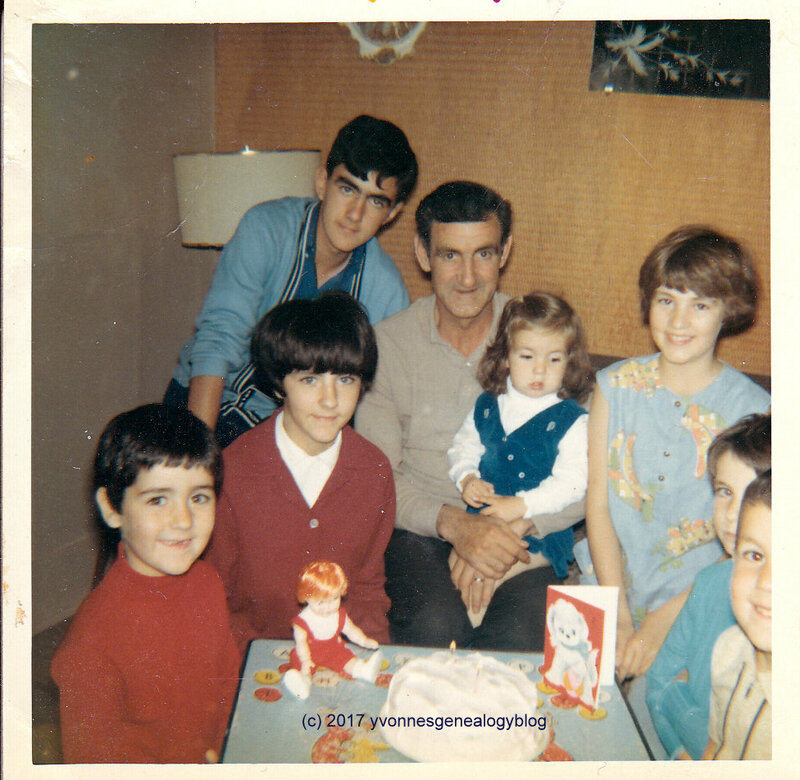 André’s younger brother Denis and his sisters Diane, Carol, Pauline, Lise, and Nicole will gather in Timmins to be with their mother, Joan (my godmother), before the funeral service on Wednesday. When I think back on my childhood and remember mon oncle Adrien, two things stand out: he was a miner, a hard-working man, and he loved hockey. It was his favorite sport. I can still see him watching Hockey Night in Canada in the living room. He’d shout out with such enthusiasm, “He scores!”, whenever his favorite team scored a goal. Another memory I have were the times my family (we lived in the same town, Timmins) would go over to his and Aunt Joan’s house to play cards, usually on Saturday nights. Mom, Dad, myself, perhaps my sister Marianne, Uncle Adrien, Aunt Joan, my grandfather Fred, and one or two of my cousins would find a spot at the kitchen table. I’ve forgotten most of the card games we played, but I remember we liked “Chase the Ace” and “Bang”, with our favorite being “May I”, a version of Rummy. We’d laugh and tease each other, try to beat our opponents, and just have the best possible time. It was good family fun and I miss those days. In the summer of 1982, my family (Mom, Dad and my brother) and my boyfriend (now husband) Michael drove from British Columbia to Ontario to visit my sister and her young family. After three days on the road, we arrived in Timmins late one night. We drove to Aunt Joan’s house, where she had the room to put us up during our visit. She and Uncle Adrien were excited to see us. They welcomed us after our long journey, fed us, and sorted out the sleeping arrangements. They took good care of us. I last saw Uncle Adrien in the spring of 2014 when Michael, our son and I went to Ontario for a short vacation. He was glad to see us (he met Nicholas for the first time), and made us feel welcomed in his home. Of course, the TV was on to the latest hockey game; it was the Stanley Cup playoffs, after all. Rest in peace, mon oncle Adrien. Yvonne, I'm so sorry about your uncle. He sounds like he was a very loving and warm-hearted godfather. A great loss to the family now.